Any time I am asked to speak, God does a work in me. This weekend, sharing about how to be effective women and not just efficient women, I was reminded how valuable these passages in Proverbs 31 are. It saddens me when others say this Proverbs 31 woman is not relevant, that she is simply an ideal, and not one we can attain to. I just beg to differ. She is an ideal. The description of her however is the entirety of her life. Yet, we see her included in scripture. I believe she is the goal to be attained, much like Paul refers to. She is the culmination of a race well run. She is God’s design for woman and the description of her helps us in setting our priorities and making choices. I am reminded that in good season, God grants me the wisdom, the ability and the time to be and to do. Keeping Him first and my family second, remain constant. The opportunity to work, invest, minister, etc… come at different times. So often in my humanness I struggle with the “in due season.” I read Proverbs 31 and I want it all, all right now. I strain and struggle. I become discouraged and before I know it, Satan convinces me I can’t do it. He would be correct. I can’t do it without Christ and I can’t do it all at once. I have to remind myself that a “no” now does not mean “no” forever. There are moments when God says “no, not right now”. I have to remember that He will restore those jobs, ministries, relationships in due season. I struggled with this when my girls were younger, spending way too much time trying to do too much, looking to the next season instead of embracing the season I was in. I have fallen prey to that again. I realized as I shared with others, God was convicting me. I had let a seed of resentment set in regarding home schooling. I was looking to ministry and jobs I wanted, but couldn’t make work in this season. I need to embrace this moment. What a gift. I have the opportunity to be at home, to focus attention on both my girls in unique ways. I get this extra time while home schooling. I have to have faith, living in this season with strength and dignity, knowing He will open doors for ministry, expand my opportunities when this season is over. As I refocused my attentions on this passage it was like revisiting an old friend. Why had I lost touch? Why I had I let my attention drift to other things? 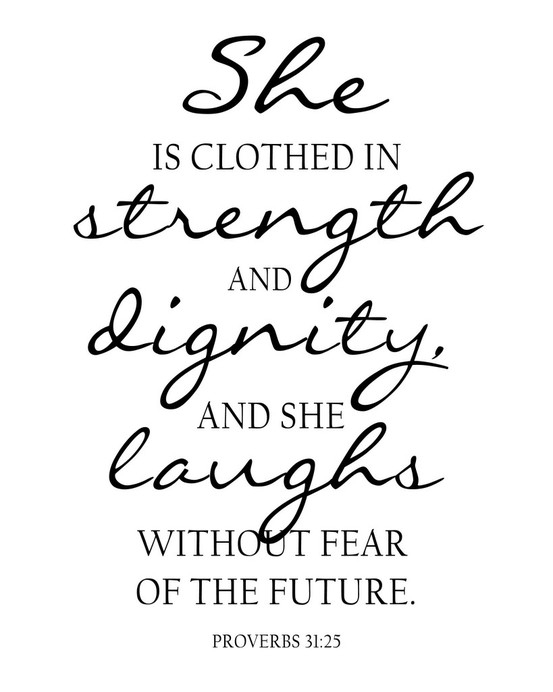 This world needs more Proverbs 31 women. I embrace setting her before me as an example, a goal. I will not strive though. Instead I will rest in Him, seeking His guidance and wisdom as I seek to love Him, serve my husband and my daughters. I will embrace His precepts and follow His word. I will raise girls to do the same. The link below is a document outlining what I believe to be the attributes of the Proverbs 31 Woman. I would love for you to use these as motivation. Please don’t look to them as a “to do” list. Instead see them as a guide. Remember it is not about what you do, so much as it is about who you are. Yes, the Proverbs 31 Woman did a lot, but the passage focuses on who she was, how she did it. Great Post!!!! Thanks for sharing the outline!!! Blessings. Thank you. I will be doing more on the Proverbs 31 Woman and my faith based time management system P.L.A.N. I love the response to this topic and pray for an uprising of Proverbs 31 women!